Liczba stron: 396 Jest to ujednolicona liczba stron, która ułatwi Ci porównanie długości książek. Każda strona Legimi to 200 słów. 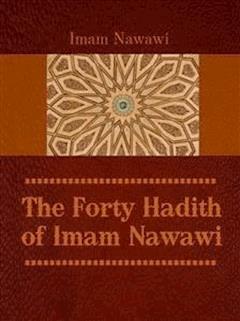 The collection of Forty Hadith by al-Imam alNawawi (or Imam Nawawi) has been known, accepted and appreciated by Muslim scholars for the last seven centuries. Its significance lay in the fact that these selected forty hadiths comprise the main essential and fundamental concepts of Islam which, in turn, construct the minimum level of required revealed knowledge for every single Muslim.Since having good knowledge of the various fundamental aspects of the religion is key to a Muslim's practice and application of Islam, this publication provides simple and practical commentaries to the collection of Imam Nawawi's Forty Hadith. Various principles are contained in these hadiths, such as belief, Muslim ethics and fiqh. As such, it is important to have a good understanding of these hadiths based on scholarly interpretations. "Actions are (judged) by motives (niyyah), so each man will have what heintended. Thus, he whose migration (hijrah) was to Allah and His Messenger, his migration is to Allah and His Messenger; but he whose migration was for some worldly thing he might gain, or for a wife he mightmarry, his migration is to that for which he migrated." Hadith 1: which is stated above. Hadith 5: "Whosoever introduces into this affair of ours (i.e. Islam) something that does not belong to it, it is to be rejected." To evaluate and judge our internal actions (actions of the heart). To evaluate and judge our external actions (actions of the limbs). To evaluate and judge our dealings "mu'amalat" (interaction between people).  "I bear witness that there is no god but Allah" is the ikhlas - ensuring that we do things for the sake of Allah and Allah alone.  "I bear witness that Mohammed is the Messenger of Allah" - the Sunnah is the manifestation of the Quran - the Prophet, sallallahu 'alayhi wasallam, is our example, our best model to follow. Following his Sunnah in our ibadah, Akhlaq (ethics), and Muamalat (dealings) ensures that we are acting in accordance with the Shariah.  Do righteous deeds - the more good deeds we do and hence get closer to Allah, the more sincere we will be.  Before we do any deed we should firstly seek knowledge (ilm) - our actions/deeds should be guided by knowledge so that we do them in accordance to the Shariah.  Do not give false impressions - do not make others believe that an action we did was good when it was not.  Al-Imam Ahmad said: Before you do anything, check your intention (niyyah) - ask yourself before performing an action: "Is it for the sake of Allah?" praise Allah for enabling us to go to the masjid and for being able to perform the salah without any difficulties.  After every salah, we should tell ourselves that we could have performed it better and try to improve in our next salah. What happens if we were to change our niyyah while performing an action? Ibn Rajab says according to the ulama' if the niyyah at the end of the action matches the beginning (i.e. doing the action for the sake of Allah), then any changes in the middle of the action will be forgiven or does not matter, insha Allah. However, if the niyyah at the end does not match the beginning, i.e. we do the action for other than the sake of Allah, then we must repent (taubah). Riya' - performing an ibadah with the intention of showing off to others iv.  When people 'swear by Allah' by saying "Wallahi" every now and then, their intention is not that they actually swear by Allah. They say it simply out of habit - it readily rolls off their tongue. Hence, it is harmless. However a Muslim should do his/her best to minimize it.  When someone is asked to give an oath, what is judged is his intention when he gives the oath.  There can be a combination of intentions between performing an ibadah and teaching others - we perform an ibadah for the sake of Allah, but we also do it with the intention of teaching others. e.g. when the Prophet, sallallahu 'alayhi wasallam, performed the Hajj, he did it for the sake of Allah as well as for teaching the Sahabah (his companions, may Allah be pleased with them all).  A man may go through the process of divorcing his wife, verbally or in court, but it is his intention which counts.  What could be seen as ghibah (backbiting - talking bad, but true, things about a person behind his back) could simply be a joke or a dua. If someone talks bad about someone else, it is his intentions, which determines whether it is ghibah or not. Our actions are undermined by our intentions - whether they are good intentions or bad intentions. Therefore we should always check our intentions before we do or say anything. We must make sure that the action is for the sake of Allah so that it is accepted by Allah and that we will be rewarded for it, insha Allah. "While we were one day sitting with the Messenger of Allah, sallallahu 'alayhi wasallam, there appeared before us a man dressed in extremely white clothes and with very black hair. No traces of journeying were visibleon him, and none of us knew him. He sat down close by the Prophet, sallallahu 'alayhi wasallam, rested hisknee against his thighs, and said, O Muhammad! Inform me about Islam." Said the Messenger of Allah, sallallahu 'alayhi wasallam, "Islam isthat you should testify that there is no deity save Allah and that Muhammad is His Messenger, that you should perform salah (ritual prayer), pay the zakah, fast during Ramadan, and perform Hajj (pilgrimage) to the House (the Ka'bah at Makkah), if you can find a way toit (or find the means for making the journey to it)." Said he (the man), "You have spoken truly." We were astonished at his thus questioning him and telling him that he was right, but he went on to say, "Inform me about iman (faith)." He (theMessenger of Allah) answered, "It is that you believe in Allah and Hisangels and His Books and His Messengers and in the Last Day, and in fate (qadar), both in its good and in its evil aspects." He said, "You havespoken truly." Then he (the man) said, "Inform me about Ihsan." He (the Messenger ofAllah) answered, " It is that you should serve Allah as though you couldsee Him, for though you cannot see Him yet He sees you." He said, "Inform me about the Hour." He (the Messenger of Allah) said, "Aboutthat the one questioned knows no more than the questioner." So he said, "Well, inform me about the signs thereof (i.e. of its coming)." Said he, "They are that the slave-girl will give birth to her mistress, that you will seethe barefooted ones, the naked, the destitute, the herdsmen of the sheep(competing with each other) in raising lofty buildings." Thereupon theman went off. I waited a while, and then he (the Messenger of Allah) said, "O 'Umar, doyou know who that questioner was?" I replied, "Allah and His Messengerknow better." He said, "That was Jibril. He came to teach you yourreligion.""  We should be clean and wear clean clothes.  We should sit properly and closer to the speaker.  Asking questions for better understanding.  Seek knowledge from the right source/authority.  The type of questions we ask should be meaningful - questions that will lead to valuable knowledge and good action.  Asking good questions will result in better learning as well as teaching. Those who are present when the questions are asked will also learn from the answers - thus, the questioner is teaching the others.  When Ibn Abbas, one of the greatest Scholars among the Sahabahs, was asked how he obtained all his knowledge, he replied: "with an inquisitive tongue (i.e. he always asked questions) and a contemplating heart".  In many hadiths the Prophet, sallallahu 'alayhi wasallam, himself will start by asking questions before he imparts with knowledge. Asking questions will prepare the mind/heart so that it will be ready for the answers/knowledge - ready to absorb and learn. In this hadith he calls Jibril "the questioner" which implies full appreciation and encouragement of asking questions specially the ones that will lead to gaining more knowledge.  In the Quran itself there are more than 1,200 questions - to serve different purposes - to provoke the mind of the reader and force it to indulge in thinking about what he/she reads. We believe that Allah knew, with His ultimate knowledge, what all His creations will do, even before the creations took place. Allah recorded all this knowledge in Al-Lauhulmahfudz - the preserved tablet. We believe that it is the will of Allah that these things will take place, whether they are good or bad.  Illness/sickness is qadar - but we have been commanded by the Prophet, sallallahu 'alayhiwasallam, to look for a cure should we become ill. Finding a cure is also qadar. Thus, a qadar could be dealt with through another qadar.  If something unfortunate happens to us, e.g. if we lost our job, we don't just say that it's qadar and do nothing about it. We look for another job, the consequence of which is another qadar. 'Umar bin al-Khattab was traveling with a group of Sahabahs during his Khilafah (leadership). They were coming to a town when they heard that it had a contagious/infectious disease, i.e. cholera. 'Umar asked his group whether they should proceed or go back (to Madinah). The majority of the Sahabahs said they should go back but some said they should proceed. Then one Sahabi said he knew a hadith where the Prophet, sallallahu 'alayhi wasallam, said, "If you hear that this disease exists in a country, don't travel to that country." So 'Umar decided that they should go back. Another Sahabi (it seems from the second group) asked him whether he was running away from a qadar. 'Umar replied that they were moving away from one qadar to another qadar. In one hadith, the Prophet, sallallahu 'alayhi wasallam, said, "Be keen for whatever is beneficial for you. Seek the help of Allah. And don't be reckless." This hadith implies we must make the effort. The right concept of qadar is: we are responsible for whatever we do. In the above hadith the Prophet, sallallahu 'alayhi wasallam, defines Al-Islam, i.e. the five pillars, as the outward actions of the limbs, Al-Iman as being associated with belief - the inner actions of the heart, and Al-Ihsan as the highest level to attain. But the first two definitions can be interchanged with each other - sometimes Islam can be used to describe internal actions and Iman can mean external actions. There are a few hadiths which The Prophet, sallallahu 'alayhiwasallam, mentions that there are more than seventy actions which are considered as Iman. If the term Islam is used on its own, it means the whole thing - Al-Islam, Al-Iman and Al-Ihsan. Similarly, when Iman is used on its own it means Al-Iman, Al-Islam and Al-Ihsan. The Prophet, sallallahu 'alayhi wasallam, mentions at the end of this hadith that the deen consists of these three things. This hadith contains everything about Islam: the five pillars of Islam, the beliefs that make up Iman (including the belief of fate or qadar), the attainment of the highest level of Iman which is Ihsan, the adab of seeking knowledge and of teaching. "Islam has been built upon five things - on testifying that there is no godsave Allah, and that Muhammad is His Messenger; on performing salah; on giving the zakah; on Hajj to the House; and on fasting during Ramadhan."  In Surah At-Taubah (9): ayat 109, a similar metaphor is used - the structure of the Mua'min's deen/iman is based on a sound foundation, whereas the structure of the deen of the Munafiq is based on weak ground which may lead to the collapse of the structure, resulting in the Munafik entering the Hellfire.  Surah An-Nur (24): ayat 35, uses the metaphor of light as the light of guidance in the heart of the Mua'min.  A metaphor used to condemn those who fail to fulfill the amanah (i.e. religious obligations) can be found in Surah Al-Jumu'ah (62): ayat 5. The Bani Israel, having failed to obey Allah's commandments in the Taurah, are described as a donkey which is burdened with heavy books on its back but doesn't understand anything from them. Scholars have said that this metaphor also applies to other nations, which fail to fulfill their amanah.  In one hadith the Prophet, sallallahu 'alayhi wasallam, divided the status of his ummah into three categories: those who benefit from the Message, those who benefit partially and those who fail to benefit at all. He, sallallahu 'alayhi wasallam, used the metaphor of rain (as the Message) falling down on different types of land, producing different results. some people are more emotional, some are more rational, etc. the prayer times are very reasonably spread out throughout the day - it can even help us to manage our time - it can help us to manage our affairs, allowing the Muslim community to meet during congregation and care for and help each other which will lead in turn to solidarity. Thus, the prayers should not be seen as a burden as some Muslims might regard them today.  Even though we are supposed to use small stones, people tend to use big ones and throw recklessly from a far distance, causing injuries to others.  People do not follow the specified directions when they move, causing many to get crushed by the 'human waves' moving in different directions.  People insist on going to throw at the peak times, i.e. the busiest part of the day. The elderly, women and handicapped should be reminded to go when it is less crowded. Similarly we should try to do the night prayers ( tahajjud), be it only two raka'at and not everyday, outside of Ramadhan. "Verily the creation of any one of you takes place when he is assembled inhis mother's womb; for forty days he is as a drop of fluid, then it becomesa clot for a similar period. Thereafter, it is a lump looking like it has beenchewed for a similar period. Then an angel is sent to him, who breathes the ruh (spirit) into him. This Angel is commanded to write Four decrees:that he writes down his provision (rizq), his life span, his deeds, and whether he will be among the wretched or the blessed. I swear by Allah - there is no God but He - one of you may perform the deeds of the people of Paradise till there is naught but an arm's lengthbetween him and it, when that which has been written will outstrip him sothat he performs the deeds of the people of the Hell Fire; one of you mayperform the deeds of the people of the Hell Fire, till there is naught but anarm's length between him and it, when that which has been written will overtake him so that he performs the deeds of the people of Paradise andenters therein." Apart from 'Abdullah bin Mas'ud, this hadith was also narrated by many other companions (Sahabahs). The three stages of the fetus consist of forty days each, equaling to a total of 120 days for the stages to complete. It is only after this 120 days that the ruh (spirit) is breathed into the fetus, as well as the recording of the fetus' provision life span, deeds and destiny. This view, the inclusion of the word "nuftah" , is the view held by the majority of the Scholars. 'Abdullah bin Mas'ud may have derived the meaning from another hadith of the Prophet, sallallahu 'alayhi wasallam, to explain this hadith better. There are other hadiths collected by Al-Bukhari and Muslim, which touch on the same issue. But there are some differences between the texts of those hadiths and this one. Those hadiths narrate the Prophet, sallallahu 'alayhi wasallam, as saying: One of you will perform the acts of the people of the Paradise (Ahlul Jannah) as it appears in the eyesof the people. He will be good to us. We should be optimistic and not pessimistic. We follow Allah's commands and make the effort to be good Muslims and we should not despair. where it matchs what has been written in Al-Lauhulmahfudz. There are also many examples today where non-practicing Muslims or those doing bad deeds, having reached the last stages of their lives (at the age of 50 or 60), will repent and turn into a good Muslim. The same applies for thousands of new converts every year.These people, according to the will of Allah, will be forgiven and enter Paradise.  The intellect (Al-Aql) - this allows us, to a certain extent, to distinguish between good and evil. The intellect is part of us, part of the creation of Allah. Based on this, a person is regarded as mukallaf, responsible to understand and accept the massage of Allah if he is sane. If someone is mentally disturbed or insane, then he is not mukallaf.  The natural disposition or innate (Al-Fitrah) - we are created with this innate which enables us to love what is good and what is right and to hate what is evil and what is wrong. It consists of love and hate. Even though we are created with this fitrah, it is subject to change due to the environment, to our parents, upbringing, etc. Therefore there are people who might love what is bad due to a spoiled or a corrupted fitrah. The Scholars say the original fitrah is still there within these people - if we try to 'awaken' the fitrah, these people will come back to loving good and hating bad.  The commitment that we make, at the time of our pre-creation, to worship only Allah. This is related to the fitrah - it causes us to have this natural disposition or innate towards loving what is good and hating what is bad.  The willingness (Al-Iradah) and Power (Qudrah): Allah provided us with willingness and power/ability. An action cannot take place without this willingness and power - we do something only if we are willing and we have the power to do it. But this willingness and power are neutral and can be manipulated and used in either good or bad ways.  We have also been created with desires (shahawat) and the existence of these desires within us can manipulate our willingness or power towards good or bad. The nafs which blames us for our bad deeds or thoughts of bad deeds (if we have iman and knowledge) - e.g. our nafs says "Aren't you ashamed of yourself for thinking about drinking alcohol?"